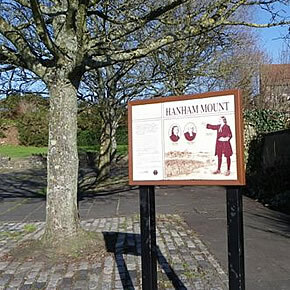 Hanham Mount commemorates the persecution of the Baptist community in the 1600s and the open air preaching of John Wesley and George Whitfield, which started here in 1730s. Hanham was one of the first places that they preached in the open air. The site was landscaped and a beacon light first installed in 1951 (replaced in 2007). Site managed and continually enhanced by Friends group since 1996, including installing new metal outdoor pulpit (to replace 1970 wooden replica, which succumbed to vandalism and the weather, of the chapel pulpit from the Colliers’ School, established by Wesley and Whitefield at Kingswood). Also improvements to pavements, footpaths and lighting, plus producing interpretation boards and an information leaflet. 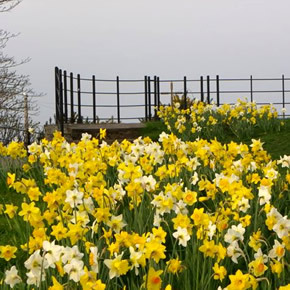 • There is a steep path from the Mount Hill Road entrance, but a flat path suitable for people with mobility impairments from Gunning Close entrance (NB Gunning Close not suitable for large coaches, only mini buses). Annual Easter open air service. 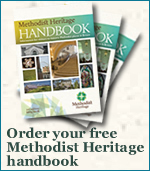 Always looking for new members to support their work – contacts as above. Hanham is situated on the A431 Bristol–Bath road.